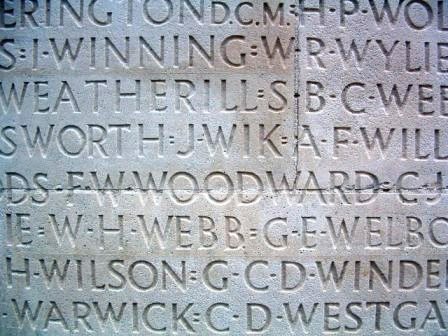 Frederick was born on the 17th June 1885 in Hartington, Derbyshire, the son of Thomas (Police Officer) and Elizabeth Woodward. He had three younger brothers, Thomas H., John O. and Stanley, and two younger sisters, Ethel and Marion V. By 1891 (Census RG 12/2995), however, Thomas' work had taken the family to 23 Gorst Street, Everton, Lancashire. In 1901 (Census RG 13/3479) the family were still in Everton, but had moved to live at 10 Verona Street, and Frederick was working as a "Post Shop Boy". Ten years later (1911 Census RG 14/22505) the family were at the same address, as they were when Frederick enlisted in September 1914, when he named his mother as next-of-kin. CWGC Records show that after the War Frederick's parents moved back to Derbyshire to live at Sycamore Cottage, Earl Sterndale, Buxton. In 1906 Frederick had sailed from Liverpool on board the 'Lake Manitoba', arriving on the 18th November at Montreal, Quebec. At the time of his enlistment in 1914 Frederick was 5 ft. 8 ins. (1.73 m) tall, had a "dark" complexion, brown hair and brown eyes. On his enlistment papers he gave his occupation as "Salesman", and his religion as "Church of England". When Frederick volunteered for the "Canadian Overseas Expeditionary Force" he enlisted into the 9th Battalion, Canadian Army, on the 18th September 1914, at Valcartier, Quebec, Canada. He declared that whilst in England he had served 18 months with the 8th Royal Liverpool Volunteers. Valcartier was the primary training base for the First Canadian Contingent in 1914. The 3rd Battalion, part of the 1st Canadian Brigade, landed in France at this time and arrived at Armentières on the 19th. On the 1st March, after a period of mist and rain, the Battalion moved to La Toulette, in gales and snow. The Division were first in action during The Second Battle of Ypres, which lasted from the 22nd April to the 25th May 1915 - the day Frederick was killed in action - but from the inscription on his grandparents' gravestone [see below] it seems that he lost his life during The Battle of Festubert [15th - 25th May 1915]. The 1st Canadian Division was part of Haig's First Army. On the afternoon of the 18th May the Division, with the 51st (Highland), took over from the 2nd and 7th Divisions with a view to continuing the advance towards Violaines and Chapelle St Roch. Following a bombardment, which began at 3.00 p.m., Frederick's 3rd Canadian Brigade arrived in the front lines at 5.20 p.m. Their arrival was delayed through a combination of late arrival of orders, and slow movement up to position. Between the 20th - 22nd May 1915 the 3rd Canadian Brigade gradually pushed forward and occupied the Orchard (known thereafter as the Canadian Orchard). The Canadian troops, however, reported many problems with their standard Ross rifle, which exhibited a tendency to jam. The following day, the 23rd, plans were laid for the Canadians to attack again, an attack that began the following day, when the 2nd Brigade advanced about 150 yards [approx. 137 m] before machine-gun fire brought them to a halt. "6.30 p.m.: 47th Division's attack, using 142nd Brigade, achieves success in advancing 400 yards towards Chapelle St Roch, on a thousand yard front. However, the advance takes them into an area that can be covered by heavy German artillery south of the canal near Auchy-les-la-Bassée. This enemy artillery is beyond the range of British guns, and it does great damage to the troops who have advanced. The Brigade lost some 980 casualties in this shelling, but held on to its position. During the evening, it repulsed at least one German counter-attack, using crude grenades that more often than not failed to explode or did so prematurely. The attack of the Canadian Division did not fare so well, but did advance to within 200 yards of the newly-dug enemy line." Frederick was one of 11 men of his Battalion killed in action on that day. 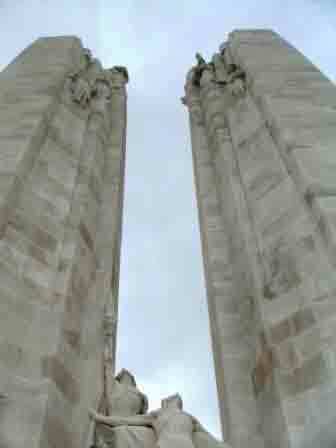 Only one has a known burial place, the others - with Frederick - are commemorated on the Vimy Memorial. The entire Canadian Division had 2,204 casualties, of which 97 were Officers, during eight days in action. The grave of William VALENTINE, Earl Sterndale Churchyard (picture right). wounded officer. 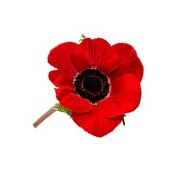 Greater love hath no man than this, that he lay down his life for a friend." 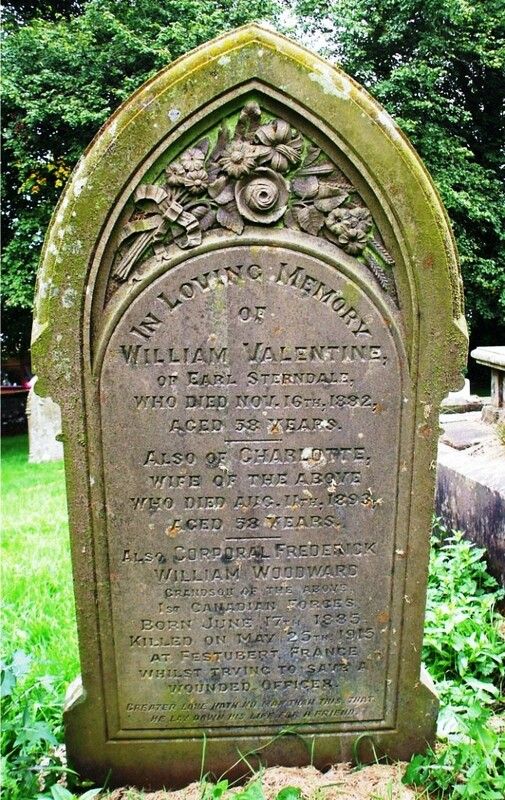 [William VALENTINE of Earl Sterndale died on the 16th November 1882 age 58. No record has been found as to the identity of ".. the wounded Officer." killed in action on 25 May 1915, and is commemorated on the Vimy Memorial.